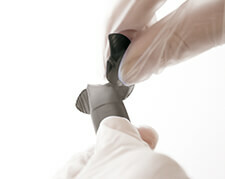 F2-EZ is a 2L drainage bag designed to be opened quickly and easily while allowing controlled drainage of fluids. The twist-snap tap is located at the top of the bag thus eliminating the possibility of splash, spray and cross contamination associated with tear bags. The bag is designed for single use and, once the twist-snap tap has been broken and the bag emptied, it can be easily disposed of. Greatly reduces the risk of accidental contamination when draining the bag and the risk ascending infection by keeping the tap clear of potential contamination by touching the floor. 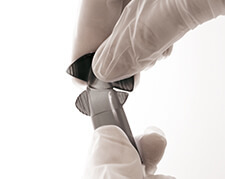 Innovative easy-to-open angled connector with wide bore for rapid drainage. Eliminates reflux and maintains directional flow of fluids. Flexicare NRVs are designed to allow low pressure drainage in one direction while preventing all flow in the opposite direction. 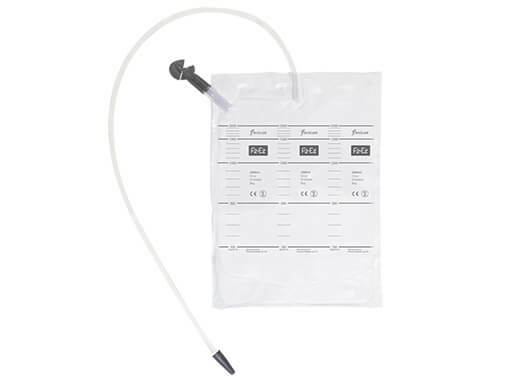 This ensures free flow of urine into the bag while protecting the patient against ascending infection. Provides a secure connection to all bags and catheters. The positioning of the eyelets allows the bag to be hung for emptying.